Product prices and availability are accurate as of 2019-04-19 05:13:57 CDT and are subject to change. Any price and availability information displayed on http://www.amazon.com/ at the time of purchase will apply to the purchase of this product. 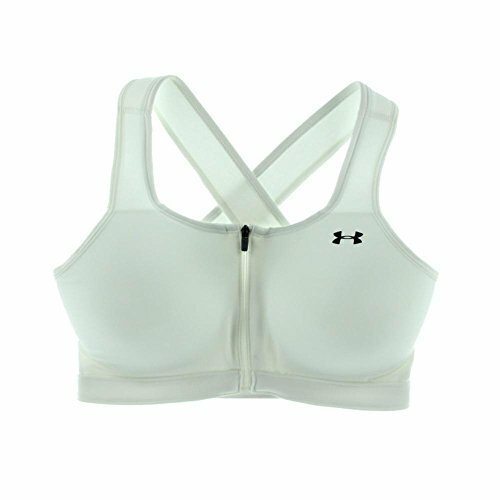 Premium moisture transport incorporated with mesh for remarkable breathability, dry time, and convenience. 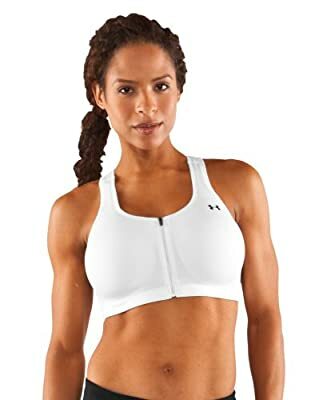 Compression fit, with zipper front allows for maximum stability and support. HeatGear ® fabrication supplies moisture transport to keep your cooler and drier. Cushioned criss-cross straps provide extra support. Individually built cups restrict motion. Soft fabrics and mindful built provide an abrasion-free fit. DD Cup support developed for high-impact workouts. Polyester/Elastane. Mesh: Nylon/Elastane. Imported.